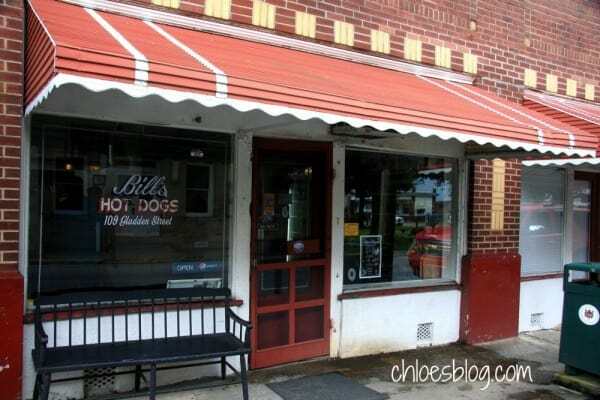 It doesn’t matter if you like hot dogs or not — you just have to eat a Bill’s hot dog if you are in Washington, North Carolina. 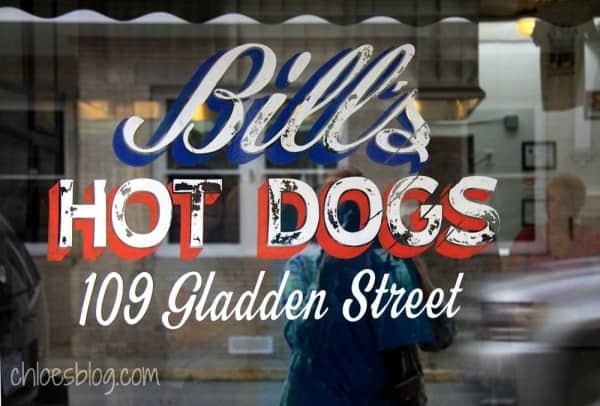 Bill’s has been open as a hot dog “stand” since 1928 and it hasn’t changed much; not that I can see. Located on Gladden Street in “Little” Washington, NC, it is just a short distance from the Pamlico River. 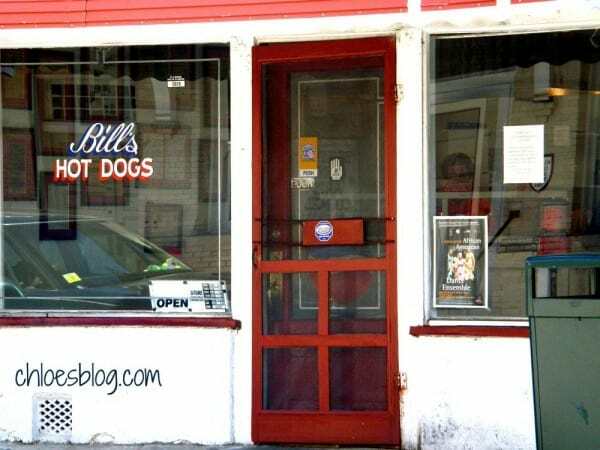 Bill’s is an institution for most everyone who has ever lived in Washington or eastern North Carolina. For the locals, this is Road Food at its best. 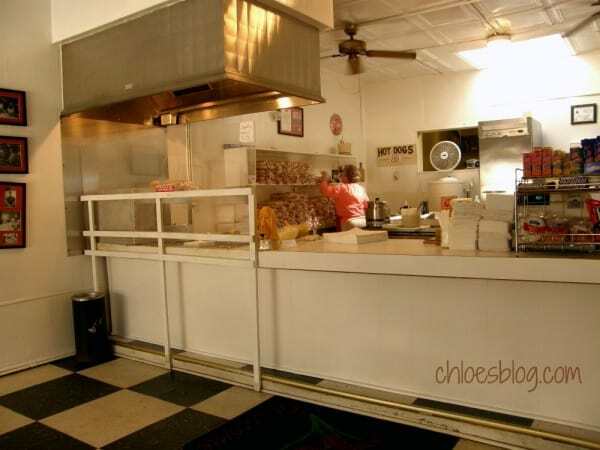 The menu is simple: hot dogs, chips, soft drinks – that’s it and the menu hasn’t changed since they opened. Stand in line and place your order – cash only, take out only. The screen door slams and you know another customer has arrived. 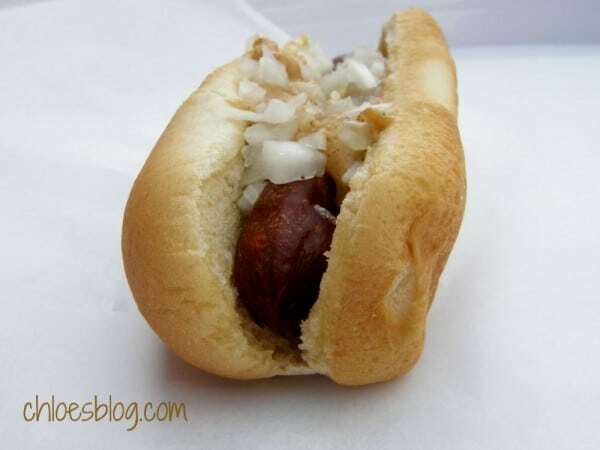 The hot dog is laid on that ubiquitous waxy-thin paper and like magic, it is rolled up and passed to the next woman who stuffs the dogs in a paper bag. Next, step up to the cashier with your chips and tell her what kind of drink you want (soft drink, that is). If you are lucky, your small Coke-in-a-bottle might have some ice crystals in it. 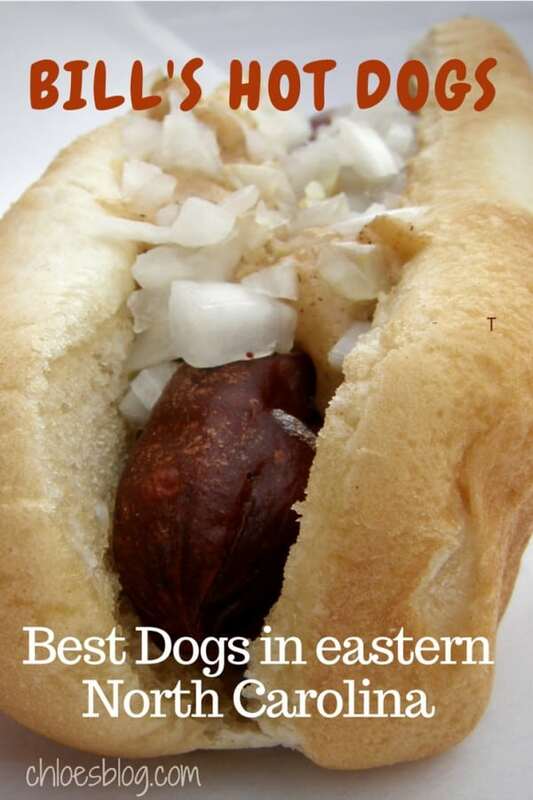 And out you go to savor your Bill’s Hot dog (or two). I usually drive or walk down to the waterfront on Stewart Parkway to watch the boats and enjoy this part of Americana. I’m so glad that some things don’t change. Open Monday through Friday 8:30 a.m – 5:00 p.m.